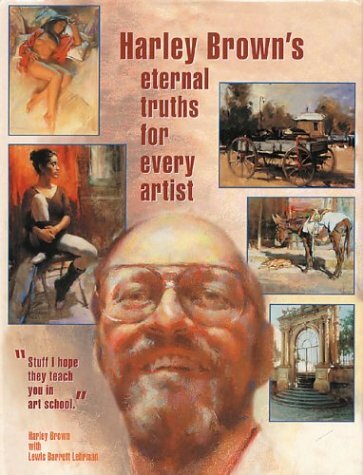 I found Harley Brown through his book, "Harley Brown's Eternal Truths for Every Artist". (as shown below) He is a pastel Artist, and while Pastel isn't the main medium I work with, I enjoyed the book imensly. It's been a while since I last read the book, thus, I'm not going to review it. I can, however, remember that it was a no-nonsense, written in a "teacher/mentor voice", type of book. If you hop on to Amazon, you'll see plenty of good reviews about it. 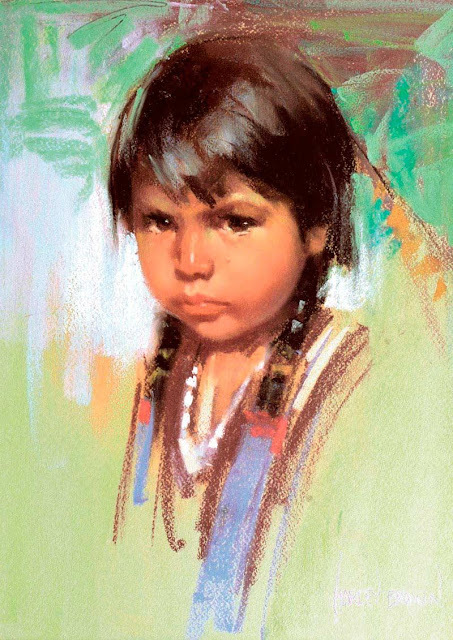 Harley Brown works beautifully in his medium and the paintings in the book serve as inspiration to me, and many others. If I remember correctly, the painting below was the painting that helped him build his confidence up. It won him an award, from where I can't recall. If you're interested in learning more about Harley Brown, he has another book titled: "Confessions of a Starving Artist: the Art and Life of Harley Brown". It's an autobiography of his life, and from what I hear, is a pretty interesting read. He doesn't have an Art website, nor does he teach anymore. However, he is a member on Wetcanvas.com and goes by the name makinart. What do you think about Harley Brown? Leave your comments in the comment section below.